Later today I'll be giving my Personal Agility Canvas presentation for the PMI Agile Community of Practice. 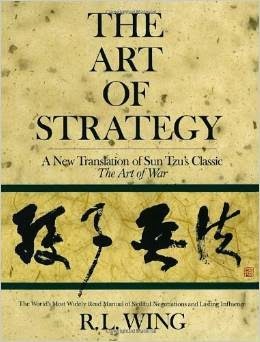 In this webinar (like the one I did recently on Redefining your PMO to Support Agile) I'll be referencing Sun Tzu's The Art of War. There are literally hundreds of translations of this classic text. IMHO, the best way to really understand the ideas and tools introduced in the book is to read a number of different translations. After the last session I had a number of requests for which versions of the book I recommend for those who are new to it, so I though I would post them here to save some time. This is a great starting point. Cleary offers a simple translation that is easy to get through if this is your first time with the text or if you've had trouble with it in the past. He has larger versions that go into more detail and offer more commentary, but this is still my favorite - plus, it's smaller than an iPhone and you can carry it with you everywhere. R.L. Wing introduces each chapter with an explanation that looks at the meaning behind the text on three different levels : Conflict with the Self, Conflict with the Environment and Conflict with Others. 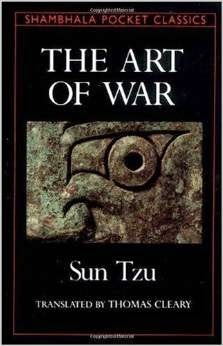 For me, this helped open up the way I interpret and use the tools that are presented throughout the text. Gary Gagliardi's way of diagramming the tools and explaining how they fit into interaction with others is brilliant and his explanation of the Five Measures is what helped me understand how to apply it in everyday life. 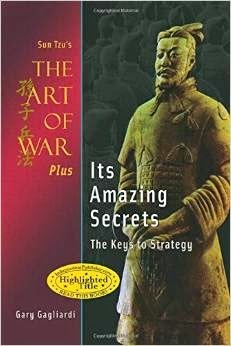 I would not start with this one, but if you have a decent grasp of the ideas, this is a must for understanding how to apply The Art of War. October got away from me. There were grand plans for blog posts and podcasts. It’s good to plan things out. That’s how you know what isn’t going to happen. At the beginning of this month I had the pleasure of speaking at the Digital PM Summit 2014. It was an inspiring two days that left me feeling more excited about the work I do than I have in a long time. 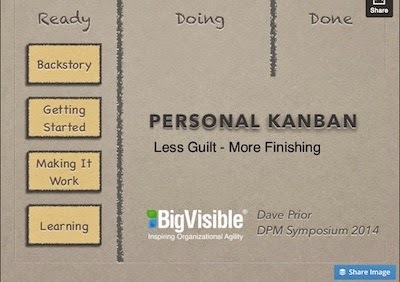 I was at the conference to give a talk called Personal Kanban - Less Guilt, More Finishing. The presentation was based on my Personal Kanban experiments. The experiment was a success, but not the success I was aiming for. 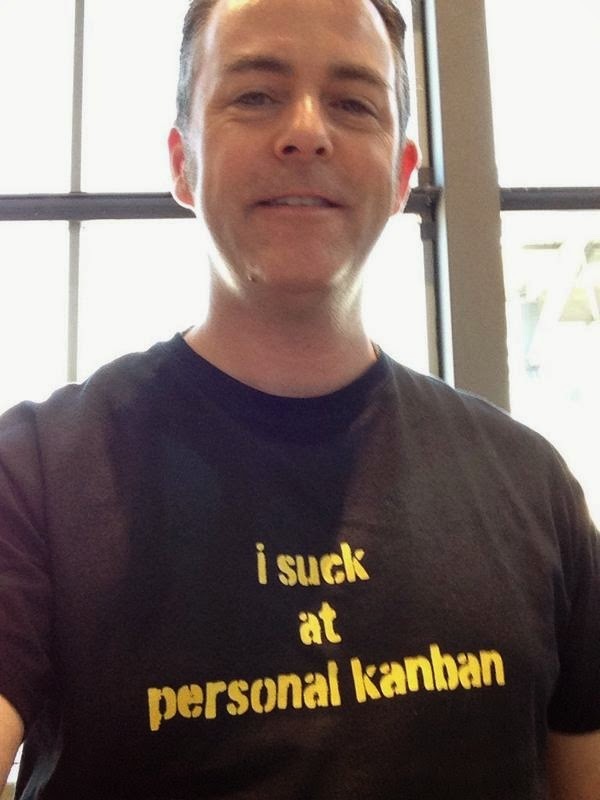 I wanted to be good at Personal Kanban. What I ended up being was someone with a much deeper understanding of how completely of the rails his approach to work is. But, they say knowing you have a problem is the first step. And now, I’m finding that practicing Personal Kanban is changing the way I look at work on as deep a level as project management did. What I am learning is that no matter how I try to get better at it, I’m still not getting to a point where I’d feel okay saying I’m good at it. What is happening though is that I'm discovering that being good at it is not the point. In fact, getting the items into the Done column isn’t really the point for me right now either. The point is learning more about how and why I am working, and using that information to make conscious, responsible decisions about what to change and what experiments to run. My favorite moment at the Digital PM Symposium was when Mike Monteiro gave his presentation on “What Your Client’s Don’t Know and Why It’s Your Fault”. Mike is a compelling speaker and even though he comes from a design background, his message is just as applicable for those of us who manage projects. We need to be aware of what we are doing, make conscious decisions and take ownership of the impact. I’ve run across a number of project management professionals over the past few months who have expressed frustration about all that is dumped on them and all the roadblocks placed in their path and (insert your excuses here). We all have this… me too. I think it is normal and completely okay to have moments where we each play the role of victim and have our little “woe is me” party. (Because let’s face it, no one is ever going to do that for a PM.) But when that part is over, we need to shake it off and dig in. So, when I say that I'm still not good at Personal Kanban, the important thing is to realize why I work the way I do and to be conscious and mindful about what choices I am making. If you are a PM Managing projects, when someone asks you to do something that is impossible, you've got a choice to make. Whether you say yes, or no, the two screenshots below from Mike’s presentation apply. ...and I’ve got them tacked up on the wall next to my desk to remind me every day.